Tupelo Honey seeks a Server to ensure guest satisfaction through training and shift leadership. It’s simple: work hard, deliver results, and watch your career flourish!<br><br>Benefits include:<br>•	Industry-leading compensation.<br>•	Best-in-class employee and family health care<br>•	Tenure-based employment incentives <br>•	Life, Dental, and Disability benefit options<br>•	Work-life balance with options for vacation and sick time<br>•	Fast-growth company with advancement opportunities <br><br><br>ESSENTIAL DUTIES AND PRIMARY RESPONSIBILITIES<br>•	Ensures service standards and proper execution.<br>•	Responsible for shift leadership of servers.<br><br>QUALIFICATIONS<br>•	At least 1 years experience in FOH service environment as service or management personnel.<br>•	Must possess a positive, proactive, constructive teamwork attitude.<br>•	Possess good math skills and have the ability to operate a POS system.<br>•	Must be able to communicate clearly and effectively with all managers, employees, guests and purveyors at all business volume levels<br>•	Must be able to move and process information quickly<br>•	Must have a working knowledge of the English language.<br><br>REQUIREMENTS<br>•	Be able to work in a standing position for long periods of time (up to 10 hours).<br>•	Be able to reach, bend, stoop and frequently lift up to 50 pounds.<br>•	Must be able to move and process information quickly. 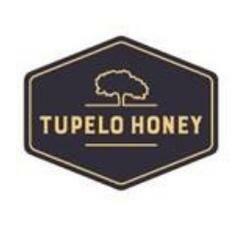 Tupelo Honey - Greenville is posting their hospitality jobs on Harri.